Monday through Thursday 9 am – 12 pm and Friday at 6 pm is a family service! 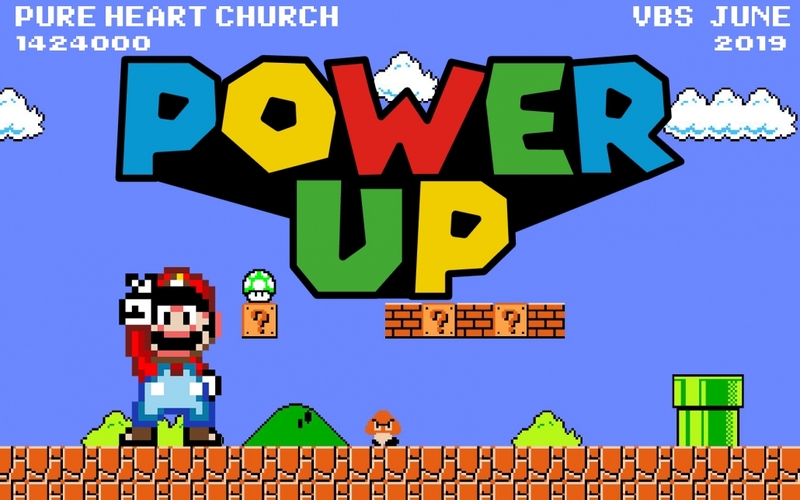 Kids 3 yrs old (potty trained) through 2nd grade will experience live worship, teaching, games, and small groups. On Friday will be an all-out family experience you do not want to miss! Everyone is invited! 3 – 5th graders are going to participate in the whole group portion of VBS, and during rotations will have a special track of rotations geared specifically to help them deepen their faith and grow their leadership skills. They will also have daily opportunities to demonstrate their skills in a serving capacity! Incoming 3rd, 4th, and 5th graders are invited to a three-night summer camp at UCYC in Prescott, AZ. UCYC includes swimming, rock wall, interactive games, archery, zip line, team battles, and more for your student to choose from! Your student will be able to dive deeper into small group time with their Heart Kids Leaders and peers they have been connecting with all year as well as build stronger relationships and community other leaders. Most importantly, they will get to hear the truth and calling Jesus has for them, experience live and impactful worship, and learn how to be a participant in their walk with Jesus in their everyday life. All meals, lodging, and transportation will be provided. Last payment is due July 15th. Jr Highers are going to Granite Hills in Prescott, AZ this summer! Incoming 6th, 7th, and 8th graders are invited. Students will participate in rec games, team battles, worship sessions with SEU Worship from Florida and guest speaker Steve Svoboda from Hillsong New York City. Your jr higher will be able to dive deeper in small group time and build stronger relationships with their leaders and friends. Most importantly, they will get to hear the truth and calling Jesus has for them and learn how to live authentically in their everyday life. Register today! At registration you can choose to pay full price or a $50.00 deposit to hold your spot, just click the drop-down box. Last payment is due May 22nd. High School is going to Youth America in Oklahoma City! We had so much fun last year and we are so excited to go back. Incoming 9th, 10th, 11th, 12th, and graduating seniors are invited. High schoolers will get to experience crazy student sessions with interactive and fun games, team battles, talent contests, main sessions with authentic worship from the Youth America band and real messages from influential youth speakers around the world. Students will be able to lay everything they have down at the feet of Jesus and experience him in the most surreal way. Your student will not regret going. Last payment is due June 16th.